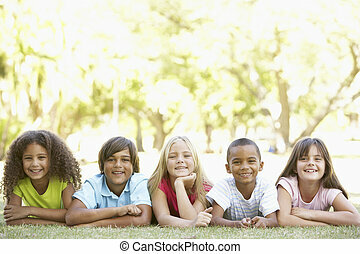 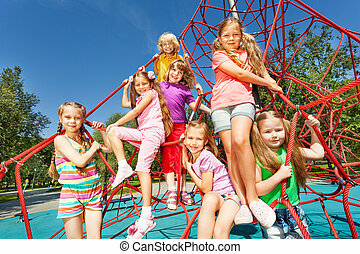 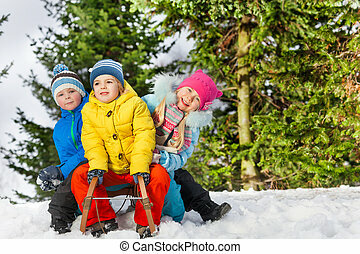 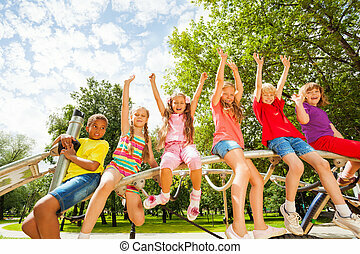 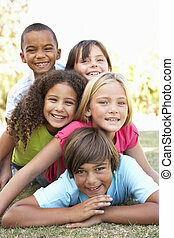 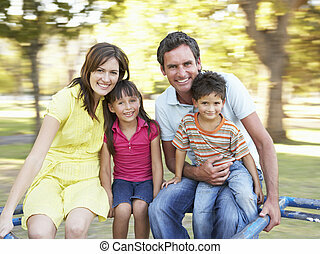 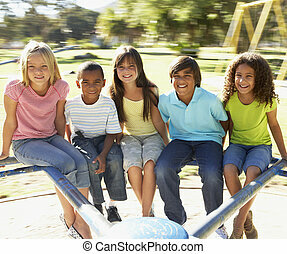 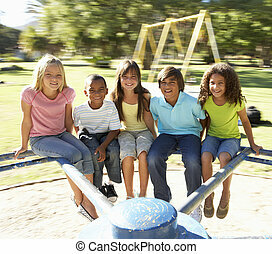 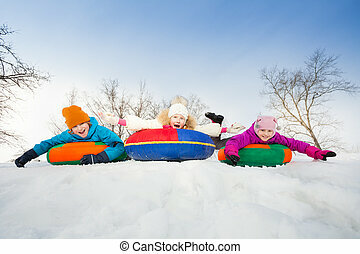 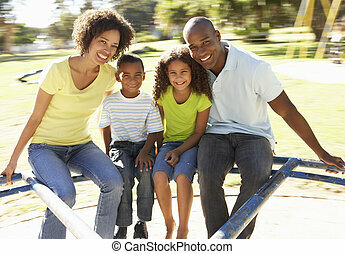 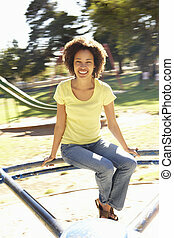 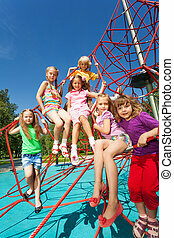 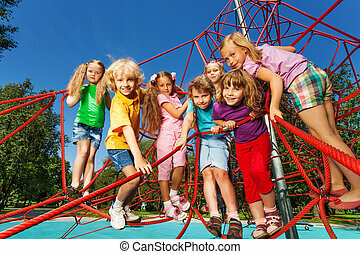 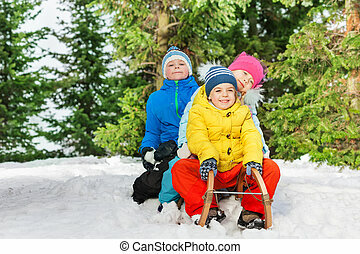 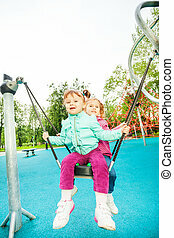 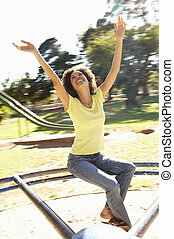 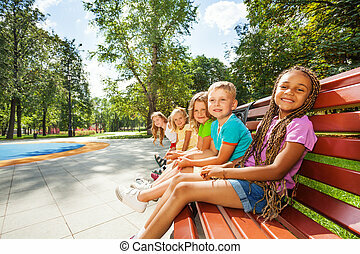 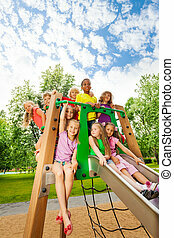 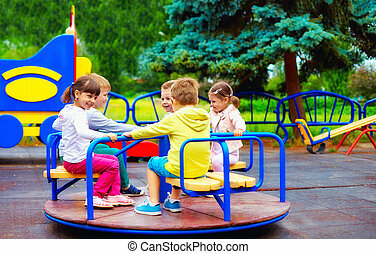 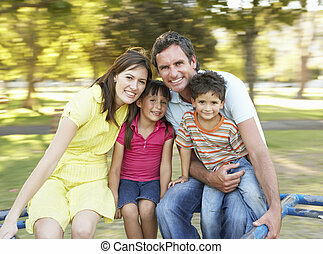 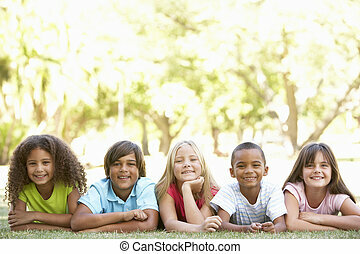 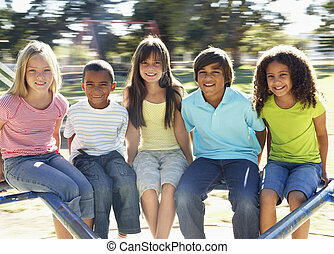 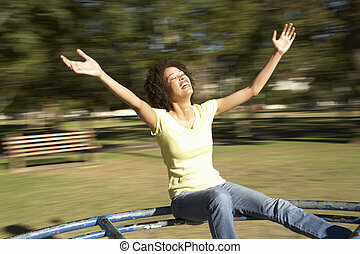 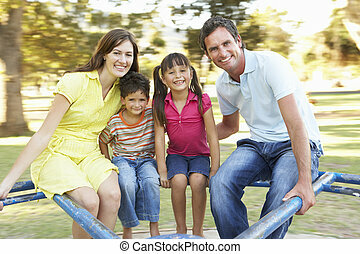 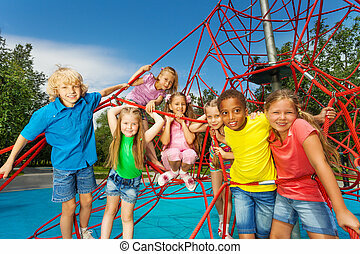 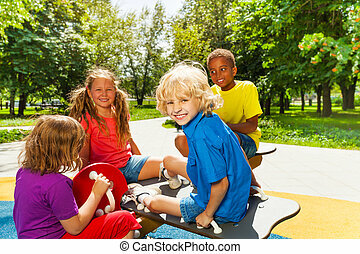 Group of children riding on roundabout in playground. 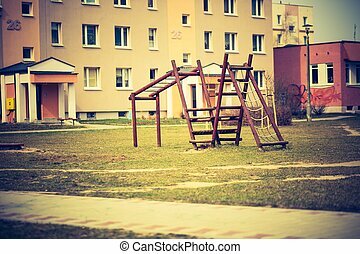 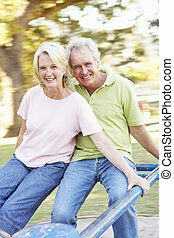 Vintage photo of empty swing on children playground in city. 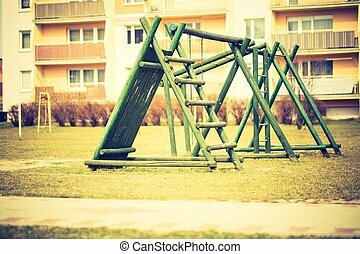 Old fashioned colors photography.